AZUSA, Calif. – Kelly Hardeman continues to rake-in post-season honors. Already named to the PacWest first-team all-conference team as well as earning CoSIDA academic all-district honors, Hardeman was voted to the Daktronics West Region first-team squad. The regional award is voted on by the Sports Information Directors from the GNAC, CCAA and PacWest conferences. Hardeman now has the opportunity to be voted to the Daktronics All-American team. That honor will be announced on March 23. Hardeman completed the year as the PacWest second best scorer (19.1 ppg). She finished the regular season among the conference leaders in blocked shots (4th – 2.1 bpg), free throw percentage (5th – 80.5 percent) and rebounding (5th – 9.6 rpg). Hardeman recorded 16 double-doubles which was the third best mark among PacWest players. During the season she was named the PacWest Player of the Week twice and the Defender of the Week on one occasions. She was named to the league’s first-team in each of the last two seasons. The junior was also named the PacWest’s all-tournament team. Hardeman earned the all-district academic honor for tallying a 3.58 cumulative GPA through her first five semesters at Azusa Pacific. 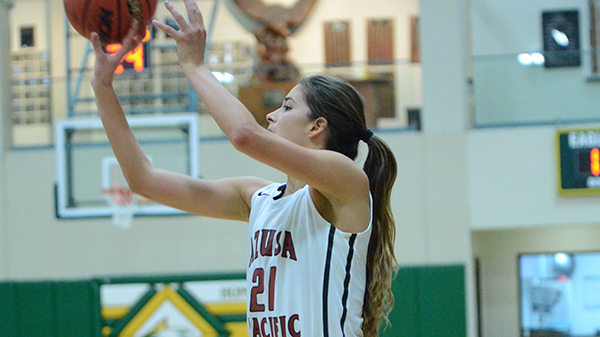 Azusa Pacific ended the year with a 19-10 overall record with a 14-6 mark in PacWest games. For all our Faith brothers, sisters, aunts, uncles, nephews, and other weird relations-- we miss you. We root for you all the time, whether it be a soccer game or senior play. Yay for Facebook and Mr. MacKay who keeps the alumni (and the rest of the world) faithfully updated! We send our love and hugs from chilly Ohio! We're very happy here, but we've sure been craving mango shakes, C2, and sunny Philippine beaches recently.